Contemporary Cake Designs are able to accept payments via PayPal® online payments. To get started with your payment, click on the “Make a Payment” link below. Please note this payment option is for deposit or partial payments only. If you would like to pay the full balance of your order please contact us on 01242 252 352, or email us at admin@contemporarycakedesigns.com. 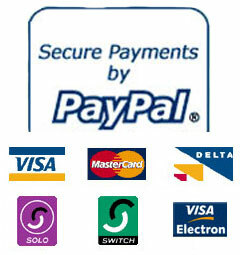 PayPal® offers a safe, secure and trusted online money transaction service for small businesses. If for any reason you do not wish to use our chosen payment operator, but would still like to make a payment, feel free to contact us directly on 01242 252 352 to discuss our payment options.